I was at home in the Almaden neighborhood of San Jose. Pretty pleased my husband and 12 year old son were able to get tickets to the game. I was alone, anticipating their delight at just being able to be there. That soon changed, however, as I was unable to reach them after the quake. I later learned that their upper deck seats were rolling back and forth toward the field only to snap back up again. I was standing at the kitchen sink when it hit – about to make a snack before the game. 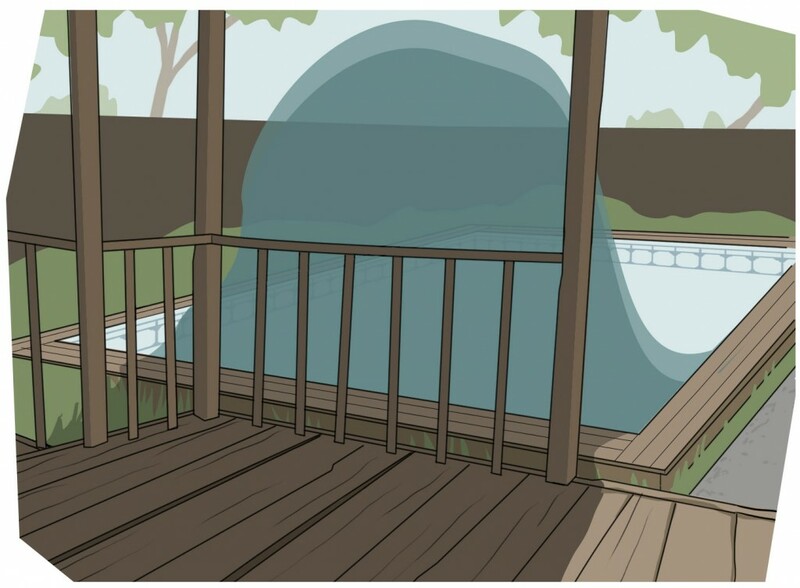 As I felt the first rumblings I looked up to find a gigantic wave arching across our deck. We lost half the pool water that day – in one wave alone. Best guess? About 12 feet high. Tremendous power behind the sound of that wave. Can still hear it 20 years later.